This triple-award winning fair trade sauce is for fans of extreme fire. It has a very unique flavour, containing two types of chilli peppers – cayenne and tobacco – and just half a teaspoon is enough to spice up any dish. 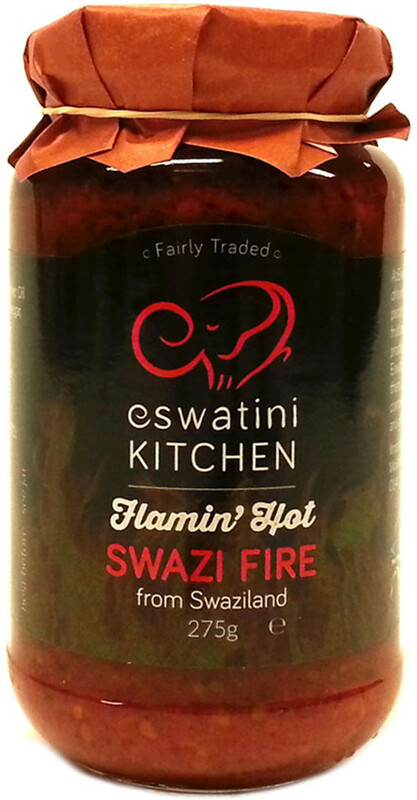 The Eswatini Swazi Kitchen Swazi Fire Sauce - 275g product ethics are indicated below. To learn more about these product ethics and to see related products, follow the links below. 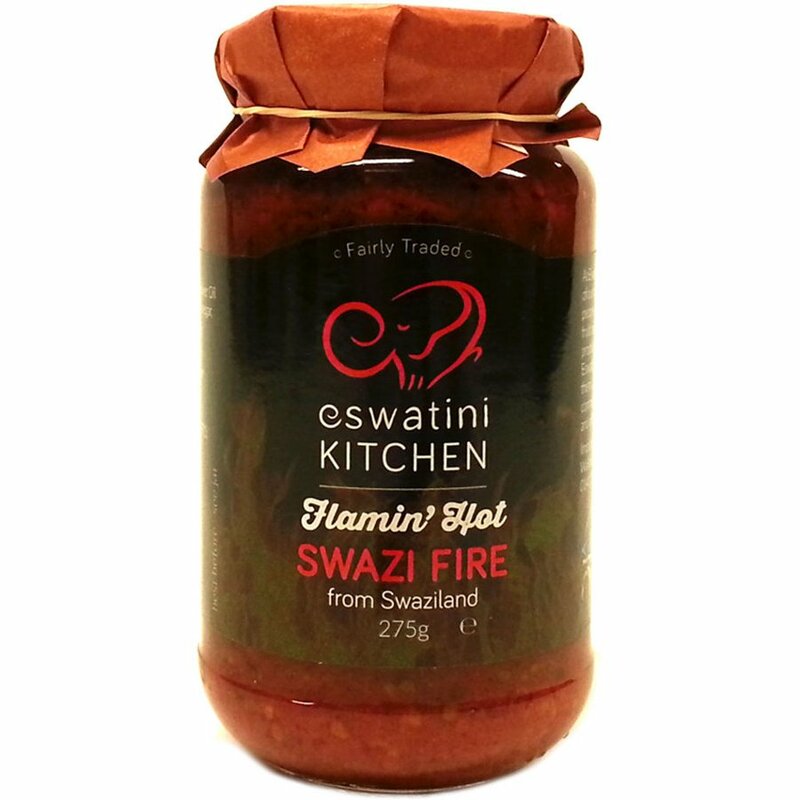 There are currently no questions to display about Eswatini Swazi Kitchen Swazi Fire Sauce - 275g.